Rated 5 out of 5 by Hayman from Great capacity for the price I needed something big enough to power two AC units, a well, and the big one, an electric, tankless hot water heater. After the installation was complete, we fired up the generator and I turned everything on that might possibly run during a power outage(including the pool pump), the generator didn't surge or groan at all. I really like the quality of the cabinet build, and how quiet this unit is when running. 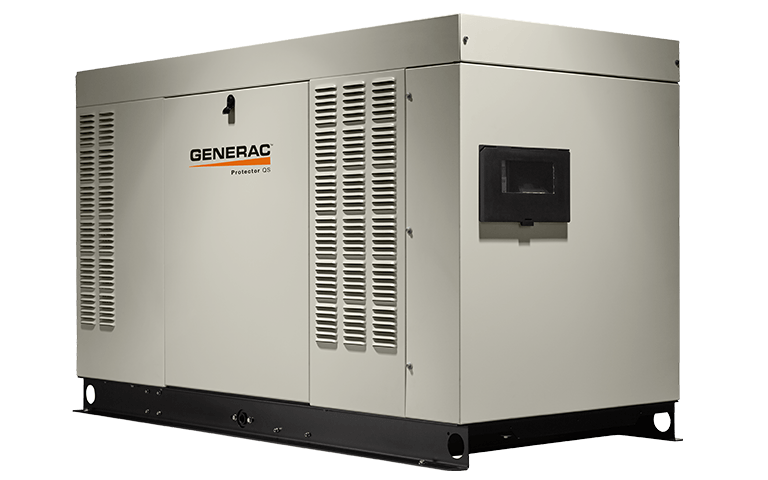 I trust I will have decades of service from this unit as I did from my previous Generac at our old house. Rated 5 out of 5 by RUSS from This product has great build quality. I was very pleased with how quiet the 38 kw QS unit is. My neighbors will not hear the unit run. The top of the unit should be sloped to have rain run off quidkly and not puddle. Rated 5 out of 5 by JJ39571 from Phenomenal Machine This is our second Generac whole house generator and we could not be more pleased. Even though this unit is larger and more powerful it is quieter. When indoors, you can't tell that it is running. It powers the whole house without a strain. What a joy to be able to go about our daily activities and not even notice that we are off grid. Best purchase ever. Rated 4 out of 5 by Bill from Solid machine The 38kW generator is working as planned. Hopefully it will provide years of service w/ minimal downtime. The ESM crew did a great job with installation. We can barely here it running just outside the house window. Rated 5 out of 5 by Mike from Very Good Installer Scott was very good, professional and helpful. Rated 5 out of 5 by AJC from Very pleased with the purchase and the installers they were great. Very pleased with the purchase and the installers they were great. 38kW-RG038-QS is rated 4.8 out of 5 by 23.